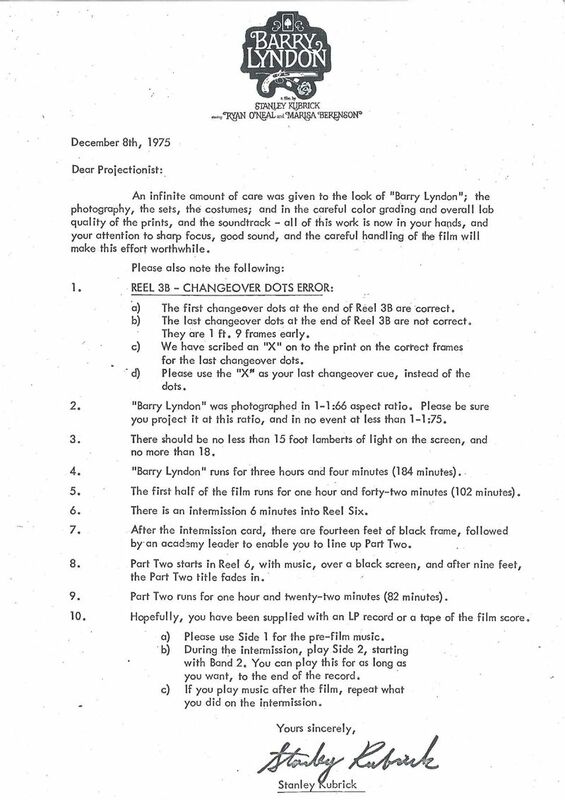 READ: Stanley Kubrick’s letter to projectionists regarding the details of screening Barry Lyndon. It’s a fascinating historical document which has emerged in the light of recent online debates around the film’s aspect ratio. Thanks go to Glenn Kenny’s website Some Came Running. This entry was posted in Bits and pieces and tagged Aspect ratio, Barry Lyndon, film, Justin Bieber, leon vitali, letter, online debate, Stanley Kubrick on July 5, 2011 by Ashley Clark. Deep thought! Thanks for corntibtuing.